Surfing is more than a sport. Itrs"s a lifestyle. Beneath the common stereotypes lies a worldwide family bonded by a mutual respect and passion for the water and the waves. 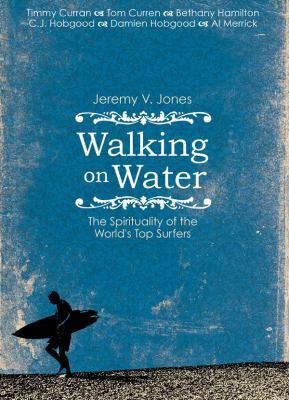 Follow these surf celebrities into the deep of their individual spiritual journeys and discover what makes them, and other top watermen and women, believe that surfing is meaningless without an authentic faith in something more.Jones, Jeremy V. is the author of 'Walking on Water The Surfer's Soul', published 2006 under ISBN 9780830742851 and ISBN 0830742859.